Pork Kennedy Cycles and Fishing offer expert advice on any type of bike, offering sales and service on all types of bike whether it’s road, mountain, hybrid, BMX or any other kind. A fully serviced repair shop with experienced mechanics on hand is also available to service or repair any brand and style of bike. 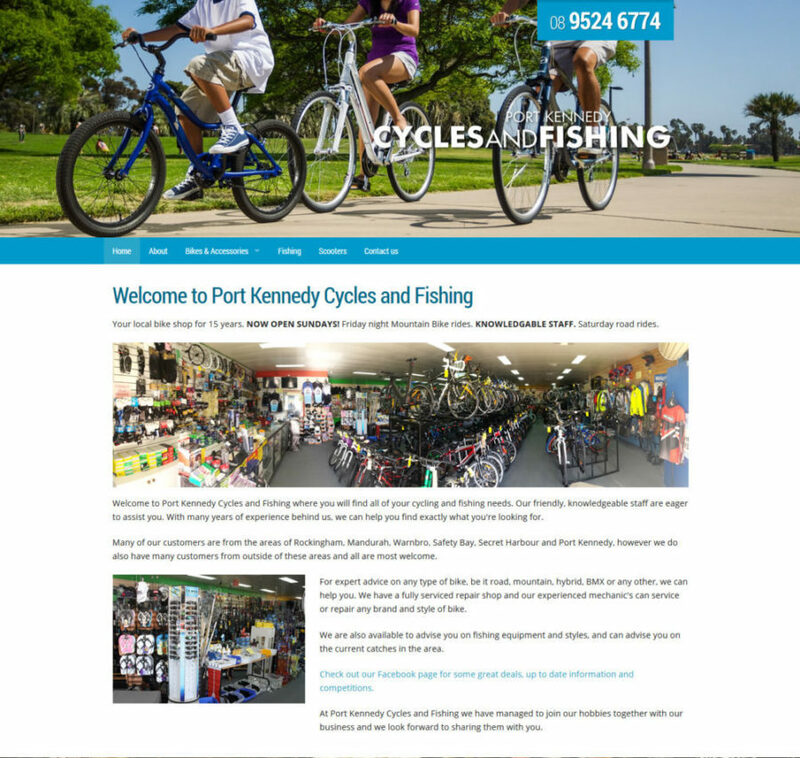 This site was aimed toward providing more information on the bikes, parts and services the client offers, as well as shifting part of the focus towards their fishing area. Vibrant, attention-grabbing bike and fishing logos were also sourced to provide visitors with a sense of reputation when browsing.